This week is Big Energy Saving Week (January 21-27), a national campaign by Citizens Advice to help people cut their energy bills and get all the financial support they are entitled to. The week focuses on raising public awareness of how to save money on energy costs by switching energy supplier or tariff, accessing discounts or grants, and making homes more energy efficient. And one possible way to reduce fuel bills is to join Coldstream Community Trust’s energy switch scheme which gives people the opportunity to save up to around £230 a year. 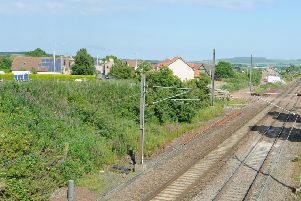 Registration takes 10 minutes and although it is run by a Coldstream organisation, those joining don’t have to live in the town or its immediate surroundings. All you need is your existing annual or projected kWh usage and/or costs to find out if joining the energy switch scheme would be of financial benefit to you. If you register for a quote there is no obligation - you will receive a quote that you can say either ‘yes’ to or ‘no’ to. If it doesn’t work for you immediately you can carry forward your registration of interest to the next auction when the numbers may look better. You have a 75% chance of receiving a cost-saving quote and not only will householders potentially benefit from energy savings but Coldstream Community Trust gets £11 for a dual-fuel switch and £5.50 for a single gas or electric switch. “Our next reverse auction will take place on February 12, 2019,” said a community trust representative. “The supplier who offers the cheapest tariff will get to offer you a new contract. “From February 25, 2019, you will receive your personal offer and you can see how much money you could save. You have until March 26, 2019 to decide whether to accept your personal offer or not. If you accept the offer we will take care of the entire switching process.